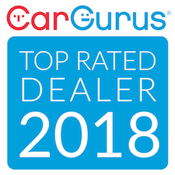 Thank you for visiting our dealership website. We have a large selection of cars, trucks and SUVs for sale. Please use this site to view our vehicle inventory and take advantage of our low Internet prices! Find our location and come by during hours to test drive any of our pre owned vehicles. Welcome to Bell's Auto Sales. See Us For Your Financing Needs....Good Credit, Bad Credit, No Problem !! !